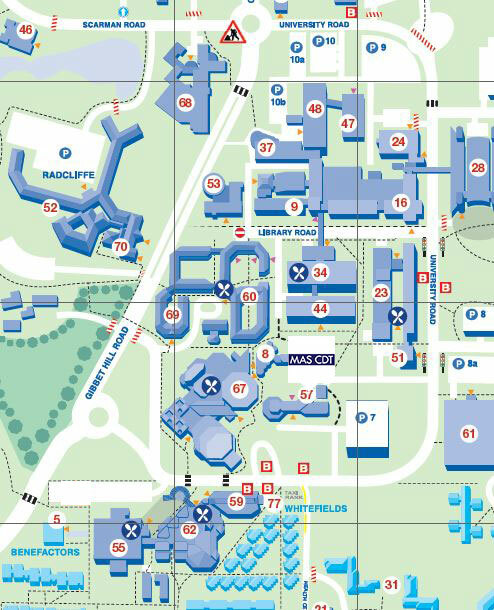 MAS Centre for Doctoral Training is situated at the heart of the University Campus in Senate House (number 57 on the map below). MAS CDT is on the second floor, a lift is available from the foyer of Senate House. The closest car park to Senate House is Car Park 7 marked on the map below as P7 it is a pay and display car park. University travel information pages here will help you to find your way.